If you were to ask me which song has snuck up on me in the last year or so, I’d say ‘Control’. 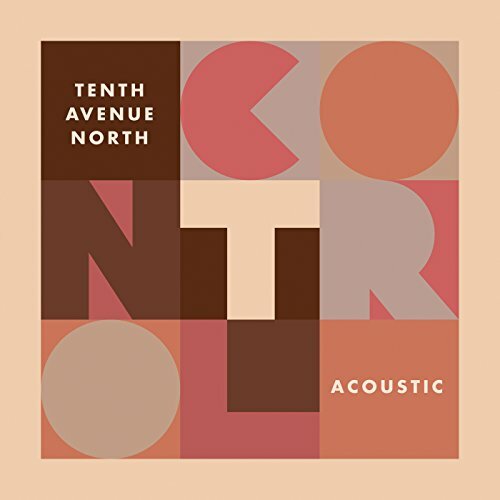 Yes, ‘Control’ from Tenth Avenue North’s 2016 album Followers. And while I may have thought that a song with much more radio marketability, like ‘Revival’ (Third Day), ‘Love Won’t Let Me Down’ (Y&F), ‘Even If’ (MercyMe) or ‘He Still Does’ (Hawk Nelson) would’ve impacted me within these last few months, this certainly wasn’t the case…and I’m glad for it. Because ‘Control’ is a track and a song that vulnerably speaks to the heart on the subject of…yes, you guessed it- control and the need of rest, and the ability to set everything down and give things to God that we have held onto for far too long- a theme that is very much relevant and necessary to hear about as society is in its current economic and political state. And as I have been hearing this song more and more within the last year, I have had the privilege of the Lord speaking to me about a few things. To rest and give up control on our lives can seem like a foreign thing to many. Maybe because it is foreign. For we as a human race do not know how to just be still and have a rest. We’re always constantly on the go. Whether it is moving from one task to the next, having multiple jobs, being parents, thinking about work at home, on your days off…whatever the case, to carve out that time for intentional rest when all we’re doing is just thinking about nothing and just enjoying life for just what God intended for us to do, we almost need to be intentional about the rest we so desperately ache for, need and is a necessity for us to survive this crazy thing called life. The pressure of performance, the pressure of keeping up with the joneses, the pressure in keeping up with fashions and trends, of being up to date on social media and making sure that everyone in the household is taken care of…you get the picture. If we just don’t take a step back and just assess our lives and think about what needs to be changed and what needs to be altered for us to have a happier and healthier lifestyle, then we’re just going to continue along the path towards the erosion of family values, relationships and sanity, all at the betterment of increased economic productivity in mainstream society. This above part from the devotional really confronted me. Not that I myself had trouble reconciling rest and doing things and thereby equating how much God loved me with how much ‘stuff’ I did for Him. Not at all. I knew wholeheartedly that what I did or didn’t do didn’t take away or add anything to how loved I already was, and still am. But rather, I understood from watching the devotional video that just sitting and relaxing and being with God isn’t a waste of time as what society initially persuaded us all to think and believe. God doesn’t need any of us to accomplish what He longs to see in fruition, but rather, chooses us to be stewards of His love to the world. And that statement in and of itself, ought to free us of some burdens we maybe be carrying. We don’t have to perform. We don’t have to do more so that people will see the change inside of us. It is after all, the power and love of God that draws people towards Himself, not by what we say or even do. Sure how we act will reflect upon what we ultimately believe. But if we believe that what we do and what our performance is like, is good enough for people to come to Christ? Then we’re really missing the plot. The idea of rest is as much important, maybe even more so, than accomplishments. Because it is in the moments of stillness and rest when all the clutter comes out of our lives, we can hear the Lord much more clearly. Sure we will hear the Lord in the chaos (in fact, He is speaking all the time) and He will bring to us people that He wants to speak through so that He can get our attention; but often than not, what comes with the silence is the worry. The worry that our own innermost thoughts may be the ones we don’t seem to like ourselves. Often that’s why we surround ourselves with busyness, to distract us from hearing what we ultimately think, about love, life, ourselves, even God. 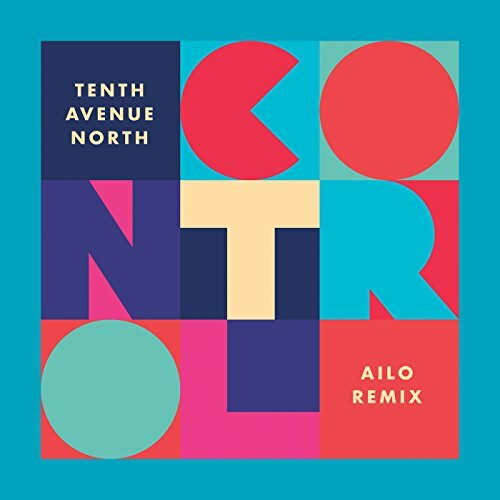 Both ‘Control’ (AILO Remix) and ‘Control’ (Acoustic) don’t really stray too much from the original song that was on Followers, and both renditions add an extra dimension to an already great song. For herein lies the fact that a song that was created a couple of years ago (maybe even longer considering the writing and recording process) can still have an impact today. Dare I go farther to say that often, new doesn’t always mean better, that sometimes a song can be mined and mined for gems and gold, and truth and encouragement, years later. That is what ‘Control’ has done over the past year. It is a certain reminder for myself that rest in paramount, and that what I do shouldn’t really matter, but rather, why I do it and how it is done. We have all been given a mandate to rest, by our Father in heaven. To not worry about outcomes and situations, to give up control to the One who is in control. And as I finish this ‘Review of ‘Control’- both alternate versions’/’Message Mondays’ post, let me finish with this, that God doesn’t want us to worry, about anything. Even about ourselves and our own thoughts we often try to hide away from. Our own situations are minuscule compared to other people less fortunate than us, and thus, our rest needs to place things in perspective. God doesn’t need us to accomplish things for Him, but He wants us to. There’s a big difference. It is when we realise the difference that change, real true inward change, can come. Was it really necessary for Mike and co. to create two alternate versions of ‘Control’, one a remix and another acoustic? Maybe, maybe not. But what I will say is this- that ‘Control’, no matter what the format, is a song that speaks to the heart about an issue I reckon needs to be addressed in society, quick smart. Maybe someone will connect with the acoustic version over the remix, and vice versa. And that’s ok. New versions of the same song I guess means that the song is going great on radio and therefore the label wants to capitalise on that, or rather, the message of the song still needs to be heard today, regardless of the format…or both. Nevertheless, Mike and the team have delivered two great songs, both of ‘Control’; that asks us the question- are we doing more to earn God’s favour, or are we resting, knowing full well that God’s already given it to us in abundance? Once we rest more, we start to worry less, and understand that this crazy life was meant to be taken with a grain of salt. Have a sense of humour. Be reminded that whatever situation we’re in is used and fashioned by the Lord to create a much more resilient you and me. And be assured and amazed, that resting and doing nothing is not a waste of time as you may often think. To rest is to recharge, to take in the wonder and glory of creation. To take stock of one’s life and understand that whatever we undertake next, this life and journey in it will be one ride of excitement, difficulty and a chance to learn and grow. Let’s take that opportunity and run with it, always remembering to rest in the process.